Read This Before You Travel to Raja Ampat! 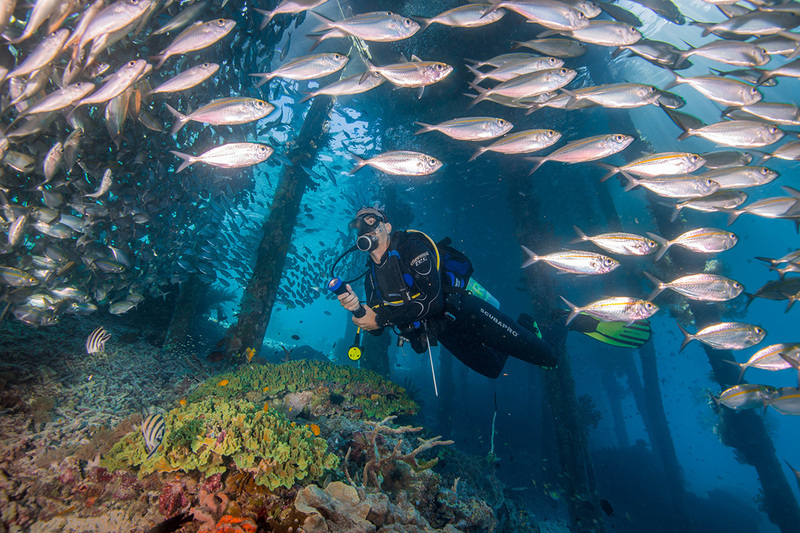 Raja Ampat is located off of West Papua, the easternmost province of Indonesia. Although it’s named the 4 Kings after the 4 main islands, it’s actually an archipelago of over 1,500 islands. There is a certain amount of planning and scheduling that goes into a trip to Raja Ampat. This is mainly because of boat schedules and scuba and land excursion timetables. If you are thinking of backpacking around and have plenty of time, it’s possible to drift from one island to another. However, if you have a limited amount of time and want to get the most out of your holiday, you’ll need to plan a little. 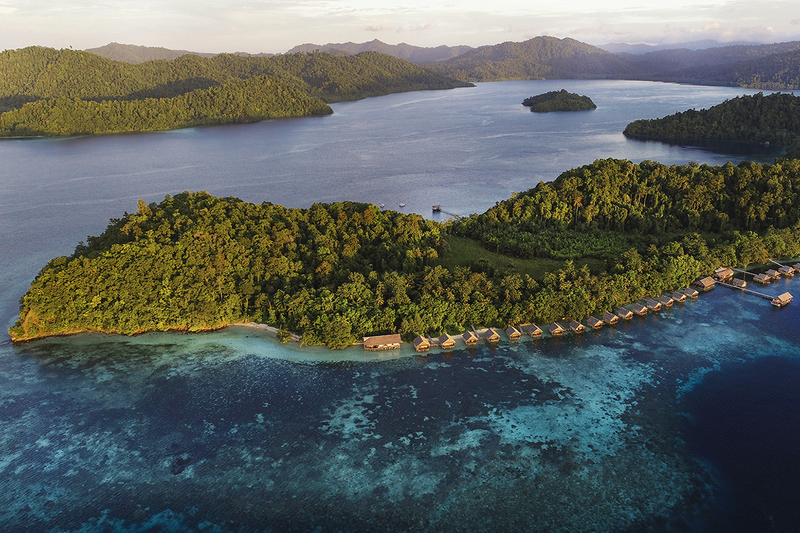 Thankfully, if you stay at Papua Paradise Eco Resort most of this planning is done for you. All you’ll need to do is book the package that suits you best. 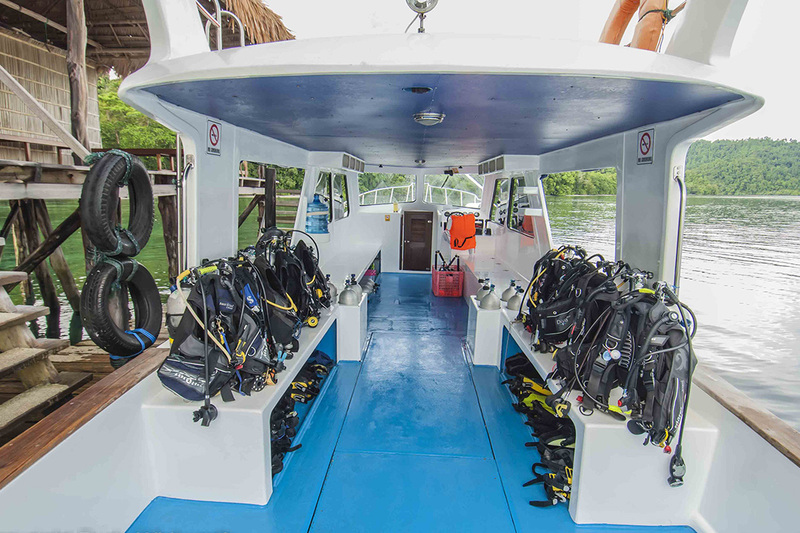 You can choose from a specific number of dives, unlimited diving, or the non-diver package. You will most likely book a flight to Domine Edward Osok Airport in Sorong on the main island of West Papua. This is the largest and busiest airport in the region but will probably seem very small to most international travelers. The ferries and resort boats leave from Sorong harbor, which is just 15-20 minutes by car from the airport. When you stay at Papua Paradise Eco Resort this is all organized for you. Papua Paradise is around 2 hours from Sorong by boat. 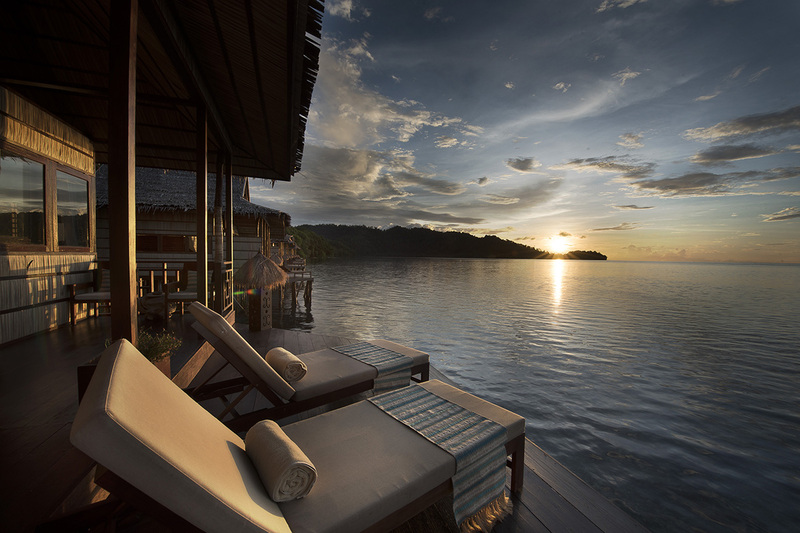 Leaving at 2pm gets you in at the ideal time to settle in and enjoy an incredible sunset from your over-water bungalow. For more in-depth information about planning your trip with regards to timing and how many days to book read this article: Planning a Trip to Raja Ampat. Raja Ampat is remote and you must consider this while packing for your trip. Outside the main towns there are very few shops selling anything but snacks, and definitely no ATMs. This means you will need cash if you plan to buy anything (outside the resort). Also consider the distances you will be traveling and that most of this will be by boat. You don’t want huge fancy suitcases full of things. Pack lightweight clothing that are easy to wash and quick to dry. Also sandals and a pair of waterproof or easy drying walking shoes for jungle treks are essential for exploring. If you don’t have anything suitable for trekking, Papua Paradise can provide you with shoes. If you have diving or snorkeling gear of your own, you’ll definitely want to take it with you. Otherwise snorkel and scuba gear is available from Gangga Divers at Papua Paradise. Other essentials include any medicine you take, mosquito repellant and plenty of sunscreen. Raja Ampat really is an incredible part of the world and is definitely worth visiting. But preparing for the trip is always important, and especially so when you are going somewhere as remote as this. What do you make sure you have with you when you go off the beaten track? Let us know in the comments below.